Shohret Hoshur’s brothers are being disappeared by the Chinese government: Beijing is trying to silence an American reporter by sentencing his brothers to China’s gulag. China is trying to silence this Radio Free Asia reporter by making his family disappear. In June 2014, Tudaxun Hoshur was put on trial in China’s Xinjiang Uighur Autonomous Region for crimes against the Chinese state. Tudaxun, 39, hadn’t spoken with his family in nearly two months and had no way to tell them about his charges or how he had ended up in a Chinese detention facility. But he had befriended another detainee who was later released and told Tudaxun’s family why the Chinese government was holding him. Authorities weren’t interested in anything Tudaxun had done. Rather, they were asking him questions about the work his brother Shohret Hoshur, a U.S. citizen, was doing in Washington as a reporter for Radio Free Asia. On June 10, 2014, Tudaxun was sentenced to five years in a labor camp, China’s gulag, for “endangering state security.” Per Radio Free Asia, the evidence against Tudaxun consisted of claims he promoted Hijrat, the traditional pilgrimage from Mecca to Medina, and opted to pray at home instead of going to a mosque. But the stated evidence was little more than a smokescreen. Everyone familiar with the case—from Shohret and his co-workers to American officials and press freedom activists—says that Chinese authorities were simply looking to punish Shohret for his reporting on China’s human rights abuses in Xinjiang. With the sentence, the Chinese government broke new ground in its strategy of state-backed repression. As far as anyone can tell, China became the first government to persecute a family member of an American journalist in retaliation for his reporting. While reporters with dual citizenship have sometimes been targeted, this is the first time Beijing has attempted such a move against the family of a reporter with sole U.S. citizenship. “I’m not aware of any other cases in which the [Chinese] government has arrested the family of an American reporter,” says Maya Wang, a China specialist at Human Rights Watch. Added Bob Dietz, Asia program coordinator at Committee to Protect Journalists, “No one can recall another case like this in China. 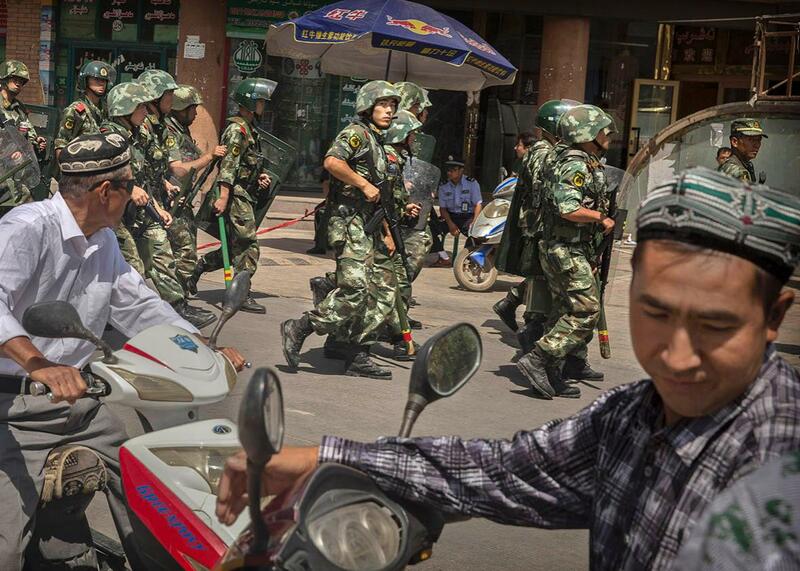 … The lengths they’re going to is an indicator of just how seriously they view the threat” in Xinjiang. The Chinese government’s frustration with Shohret’s work wasn’t a surprise. 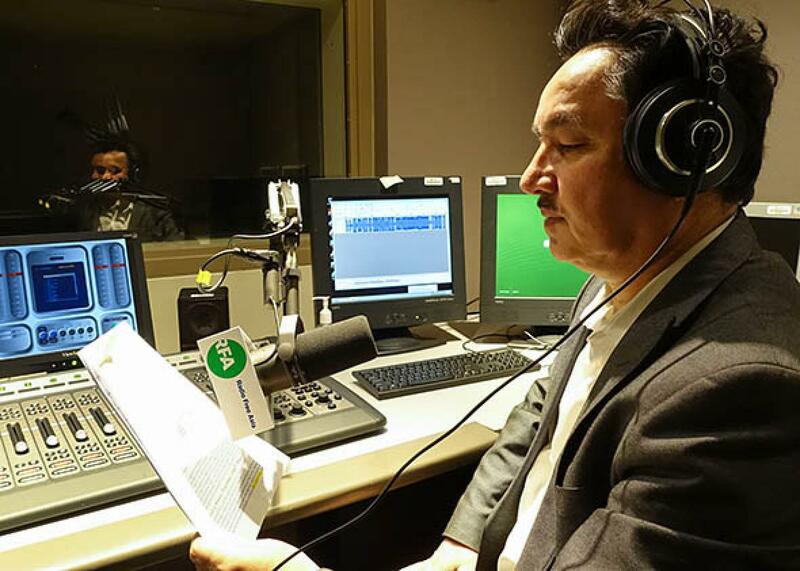 For years, Shohret has served as Radio Free Asia’s point man for coverage of Xinjiang—East Turkestan, as the local Uighur population calls it. Tensions between Han and Uighurs, a Turkic Muslim population similar to Kazakhs and Kyrgyz, have spiked in recent years. Economically, Uighurs are trampled underfoot by the state, with the Han population dominating new industry. Culturally, Beijing has toppled the pillars of traditional Uighur society, destroying mosques, banning fasting during Ramadan, and constructing a police state. Beijing helped pile the tinder for blowback, which came in the form of a mass 2009 riot. Hundreds died. And the violence continues, six years on: mass assaults, attacks on state checkpoints, knife-wielding gangs, and the predictably brutal police response. Beijing couches the Uighurs’ struggle in Islamist terms familiar to the West; Uighurs reply that they are fighting for their freedom. Shohret first left Xinjiang in 1994, fleeing so that he could continue his work without Beijing’s cudgel hanging over his head. He never used his family as a source; he never wanted to offer an excuse for authorities to implicate them. They were merchants and farmers, not privy to any organized resistance. There was no need to tap them for insights into the region’s political structures. Indeed, until 2009, there was little reason to think about relocating his family to a safer place. Shohret, after all, was an American journalist—a certain layer of protection presumably extended to his closest kin. Chinese soldiers march near the Id Kah Mosque, China’s largest, on July 31, 2014, in the Xinjiang Uighur Autonomous Region. Again, the fact that Chinese authorities have targeted a journalist’s family shouldn’t necessarily warrant surprise; China is the world’s leading jailer of journalists and consistently threatens to pull the credentials for Western journalists who cover topics the government considers sensitive. What is unprecedented is that the Chinese government is now persecuting the family members of an American journalist. As it is, Washington’s response has been largely restrained. “We urge Chinese authorities to cease harassment of his family and to treat them fairly and with dignity,” a State Department spokeswoman said in January. Michael Quinlan, spokesman for the department’s East Asia bureau, repeated the call last month. But that’s about it. A letter last week from Sen. Marco Rubio and Sen. Mark Warner to Secretary of State John Kerry called Hoshur’s case “particularly disturbing,” pointing that “there is no room for this kind of intimidation” in bilateral relations. The sum of China’s response: “[RFA’s account] is completely inconsistent with reality and not worth refuting,” said Foreign Ministry spokesman Hong Lei. Meanwhile, no one has heard from Shohret’s brothers since August. Rexim and Shawket are scheduled to face their trumped-up charges in secret trials, with Rexim’s trial coming this Friday and Shawket’s postponed from last week to an unknown date. (The delay came as a directive “from higher [Chinese] authorities,” according to Shawket’s lawyer.) Both likely face a lengthy sentence to a Chinese labor camp—all to get an American journalist to stop his reporting.